Happiness is ice cream. There, we said it. Yes, yes, we know you love chocolate, but that’s just dull compared with the tasty appeal of some delicious ice cream. A lot of people like to visit beer factories, whiskey distilleries, or chocolate factories. Us? We’re all about the ice cream! Give us Mr. Whippy over Mr. Wonka all day long. Chocolate can be boring and samey, and we sort of feel that you have to be in the mood for it. Whereas ice cream has so many different flavors that can be combined and experimented with. We would love to go on a tour of an ice cream factory, and there are plenty choices we can check out! Get a load of some of these awesome ice cream factories that you can visit. 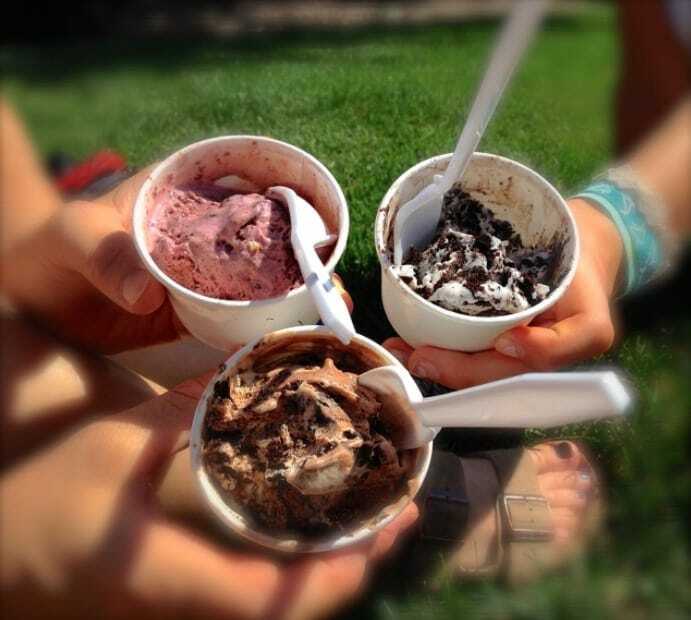 Head to Waterbury, Vermont to get a scoop (or two) of heaven. 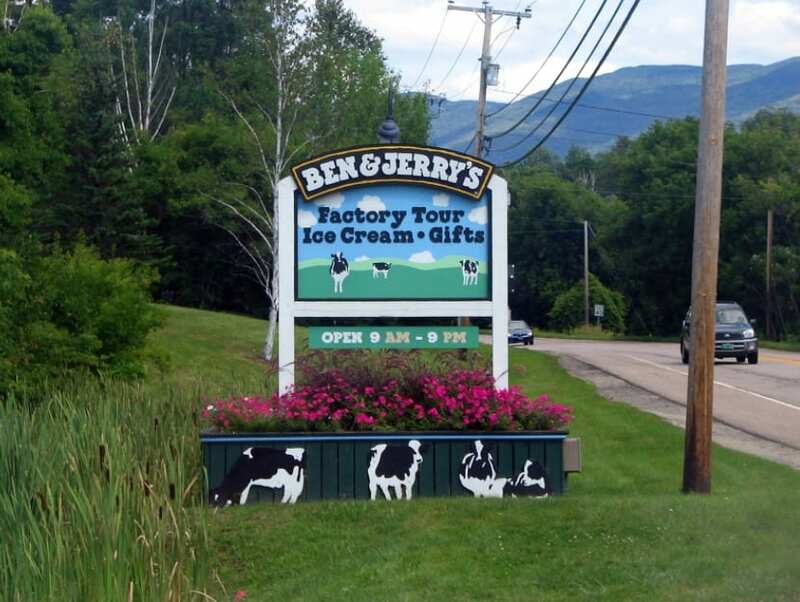 This is where you will be able to undertake the Ben and Jerry’s tour in true style. You’ll learn all about how humane and progressive the company is, and how they have created a global brand in the 30 years they’ve been around. You’ll get to enjoy a short movie, as well as seeing the production room where all the magic happens – you’ll then get to go to the flavor room and taste the flavor of the day. The tours run 30 minutes long, and adults only have to pay $3, so it’s well worth it! Founded in 1894, Graeter’s is one of the oldest ice cream companies in the world. Columbus, Ohio is the location if you want to check out this stunning factory tour. You’ll learn the secrets of their French-style pot process that ensures the ice cream is as creamy as possible. You can enjoy a free 20-minute tour of the factory that includes a free sample, as well as sitting down for a cone afterward! Try the black raspberry chocolate chip flavor for the best thing you’ve ever had in your mouth! Head to Oregon and enjoy combining two of your favorite things, ice cream, and chocolate. This is one of the finest and most beloved places in Oregon, and they are well-known for their light and stunning scoops of delicious homemade ice cream. You get a quick 15-minute tour of the factory to see how ice cream is made, and you’ll get 5 spoonfuls free as well. Afterward, make sure you head to the museum and find out more about this wonderful company who have been making great ice cream since 1984. Where else would you go to find this stuff than Boulder, Colorado? The ice cream is some of the best in the country, and the locals have been living on the stuff for years! There are so many delicious flavors to choose from, as well as the fact that the company is in the process of turning all their flavors organic! This factory offers free tours, but you might need to call ahead to make a reservation. This is one of the more recent options available, opening in 2011, but it is one of the most enjoyable and full experiences. This creamery and museum ideas some truly amazing ice cream, and there is a cool, free interactive tour to enjoy. You can actually milk a mechanical cow during the process if you want to, which adds a cool dimension to things. These are just a few of the awesome ice cream factories that have tours you can take advantage of. There are so many of them throughout the country, but we feel these five are probably the best and most enjoyable out there.